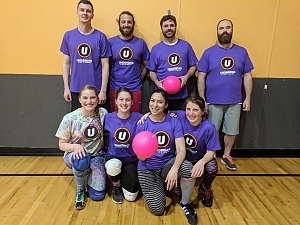 In a tight match on Wednesday night, Accidental Awesomeness provided several examples of how Underdog Dodgeball should be played. There were several instances where they chose to be out when they could have stayed in because nobody could see if they had been hit. This makes dodgeball much more enjoyable for everybody involved! Keep it up, Accidental Awesomeness!